When indoor mold becomes a part of the picture, most homeowners just wonder, “How much time do I have?” They wonder how long they’ve got until the problem gets out of hand. They’re unsure of whether or not they should get some help taking care of the problem immediately. Now or later? This week or next? If you’ve seen any signs of mold in your home, you’ve probably had these thoughts. Even if you’ve had the slightest inkling that there’s a mold problem, without having seen any physical growth, you’ve likely thought about how long it takes for things to get out of hand. We’ve got a little information that might help you learn about mold growth rate and help you decide when it’s time to call in some reinforcements! Alright, first things first. Mold growth rate is something you should be concerned about if you own a home or business. “Why?”, you may ask. Well, the answer is pretty simple, really. Mold can be very, very harmful. It can be a danger to you, your family, your employees, and anyone else who comes in contact with it. 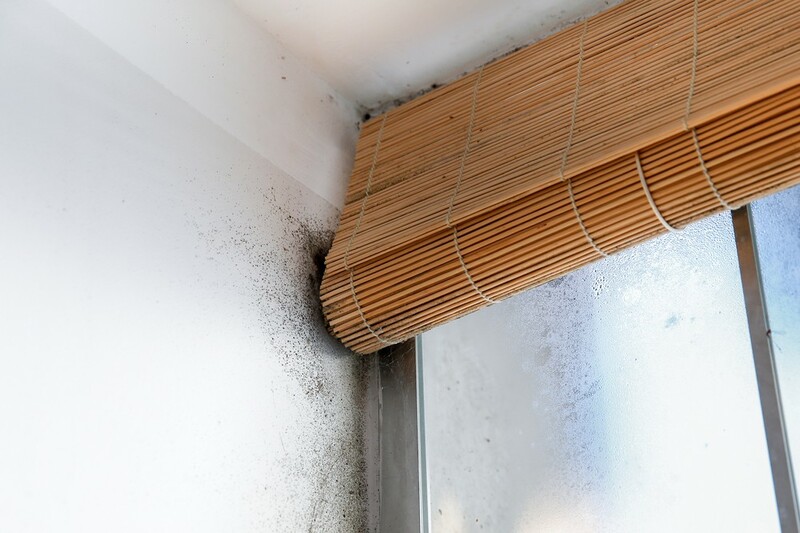 Mold can cause some serious health issues if the problem is left untreated. So it’s important to know about the conditions that are needed for mold growth. And it’s important to learn about just how much time it takes for mold to grow, spread, and start wreaking havoc. Okay, now let’s talk a little about the factors that contribute to the indoor mold growth rate. In a lot of indoor locations, including homes and businesses, mold grows as a result of water damage. When there’s excess water in an area, it can cause damage to that specific spot as well as other places. For example, a leak in the ceiling could cause water to also leak on the walls. When the water begins to pool in that area, it can really cause that place to become damaged because of the pressure of the moisture. After a while, due to the water and temperature in the area, early signs of growing mold might begin to show themselves. This can happen within just a couple of days’ time! We’re talking a matter of 48 hours or even less in some cases! Basically, the mold growth rate depends a lot on the conditions that are present. All mold really needs in order to grow is pretty much what all of us need: food, water, comfortable air. Those are a few of the factors which can speed up the mold growth rate in your home or business building. And, if everything is just right, that mold could become a major problem in less than three days. So it is extremely critical that you act as soon as you become aware of even the slightest possibility of mold growth. You may be able to prevent things from getting far out of hand by simply nipping the problem in the bud. Here at A Plus Mold Remediation Inc., we understand that things can get crazy. Mold shows up in places you didn’t expect it to. It comes at the most unexpected times. We get it. But, we also know that the indoor mold growth rate can also take you by surprise. So we do everything we can to stop mold from taking over your living or working space. All you have to do is pick up the phone and call this number: 561-247-3506. Or, you can visit our website to request an estimate for our services. Let us help you get control over mold problems!